New research by MoneySuperMarket reveals that millennials are borrowing millions more than other age groups to pay for their holidays, with 18-34 year olds taking out over £130 million in holiday loans since 2016. Holiday loan borrowing by all other age groups combined totals around £15 million less for the same period (£119.2 million). The study shows that almost half (48 per cent) of Brits are willing to borrow money in some capacity to go on holiday, with holiday loans now being the third most common way to fund a trip after saved cash and credit cards. Millennials are most likely to borrow to fund their travels, with over a fifth saying that they would consider a holiday loan. Two in five millennials who said they would take out a holiday loan would be open to using it to upgrade their hotel, compared to only 12 per cent of those aged 35+, while a quarter would use a loan to upgrade to an all-inclusive holiday. When looking at the length of the loan, 44 per cent of Brits expect to take less than a year to pay off their debt. This figure rises for millennials, with over half (53 per cent) believing that they’ll be able pay off their holiday loan in less than a year. In reality, the average term is nearly two and a half years (29.3 months). Britons could be spending over 40 per cent more on their holidays than they initially predicted. The research found that on average, Brits are willing to borrow £1,715 to fund a holiday. However, the actual average holiday loan amount according to MoneySuperMarket is just over £3,000 – meaning that a large percentage of Brits could be spending more than anticipated. The average holiday loan amount also varies widely depending on where you live in the country, with Birmingham being crowned the holiday loan capital of the UK2. Birmingham accounts for over £7.5 million of the UK’s holiday loans since 2016, with Belfast and Glasgow following with £6.9 and £6 million respectively. 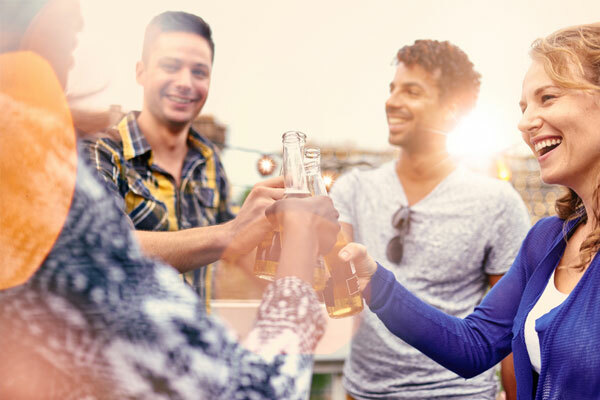 Kevin Pratt, consumer affairs expert at MoneySuperMarket, commented: “Holidays allow us to relax and spend time with loved ones or make new friends, and most of us plan and look forward to them for months. It’s hardly surprising that younger people are willing to borrow to ensure they have a fantastic annual break. “In an ideal world, we’d all be able to pay for our hols out of savings, but that’s unrealistic for most of us. Some people put the cost on their credit card but for a significant number, a personal loan is the preferred option. This means they can spread the cost over a longer period, making it affordable - but it’s important to remember that any loan is a significant financial commitment. “When looking for a loan, it is important to shop around, compare rates of interest and any fees or charges, and ensure you understand the terms of payment. It’s crucial the loan is affordable, which is why we provide details of monthly payments and total amount payable whenever someone runs a quote on our site. Αναρτήθηκε από geop στις 11:55 π.μ.